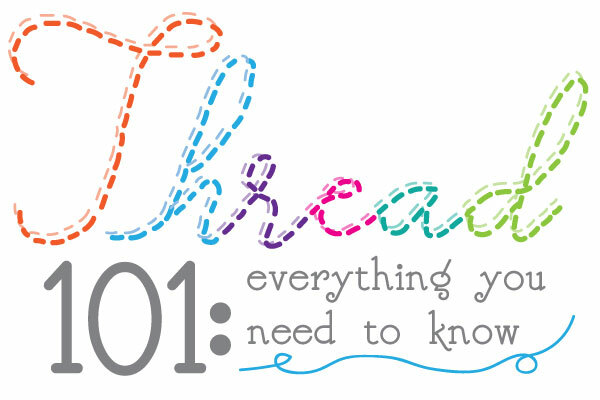 With so many thread weights on the market, it's tough to tell which one is perfect for a project! 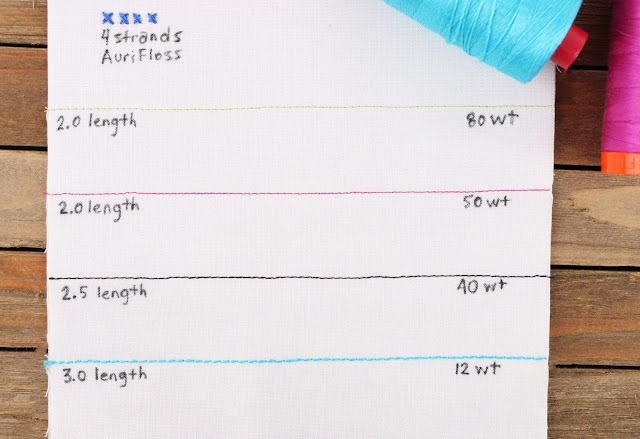 We're here to help you distinguish between those tricky little spools with some description and up-close stitch comparisons. 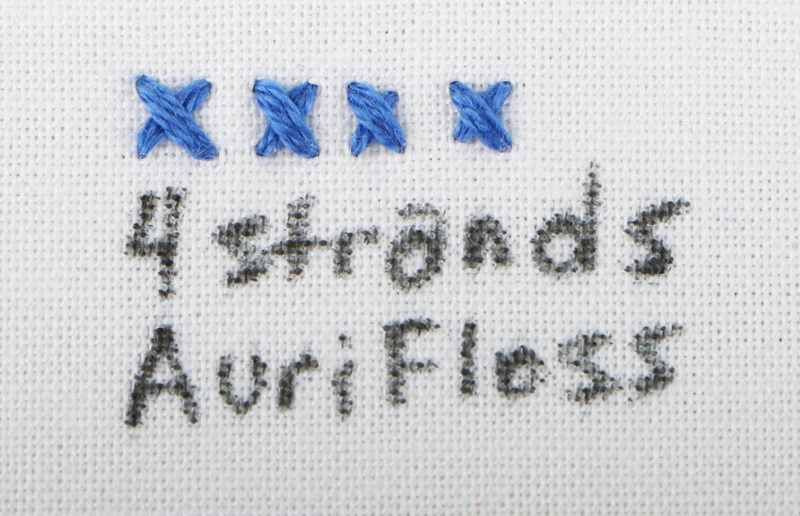 Print out this sheet and keep it in your crafting room for the next time you're at a fork in the road when it comes to selecting thread! Craving some new threads? We have the perfect solution! 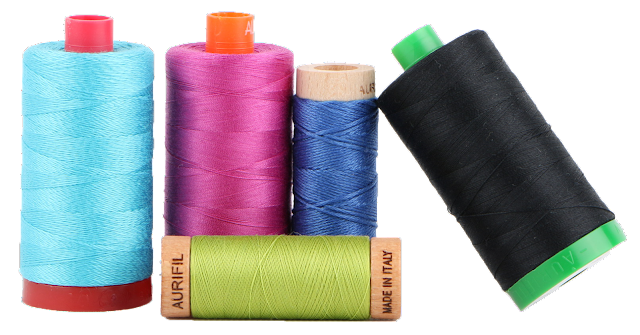 Join the Fat Quarter Shop Aurifil Thread Club or the new 2017 Exclusive Applique Thread Club and get four beautiful new spools delivered to you every month! Since 80wt is hard to get your hands on, we wanted to share this awesome box with you that we now have in stock! 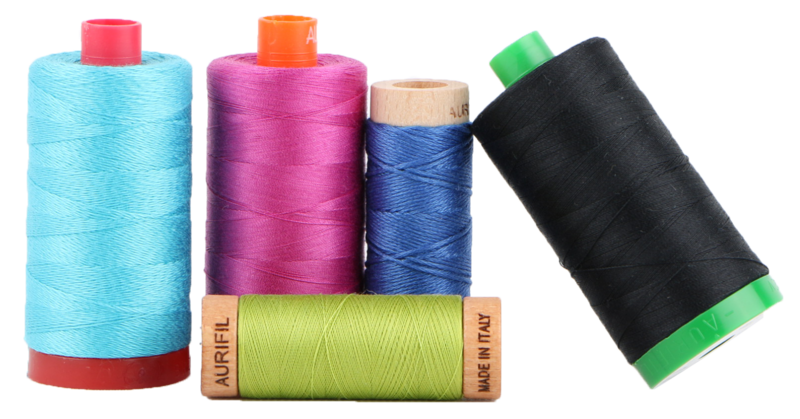 45 lush colors come in this divine Aurifil 80wt Best Selection Box - it's almost so pretty you won't want to use it! We love the 80wt and we know you will too! 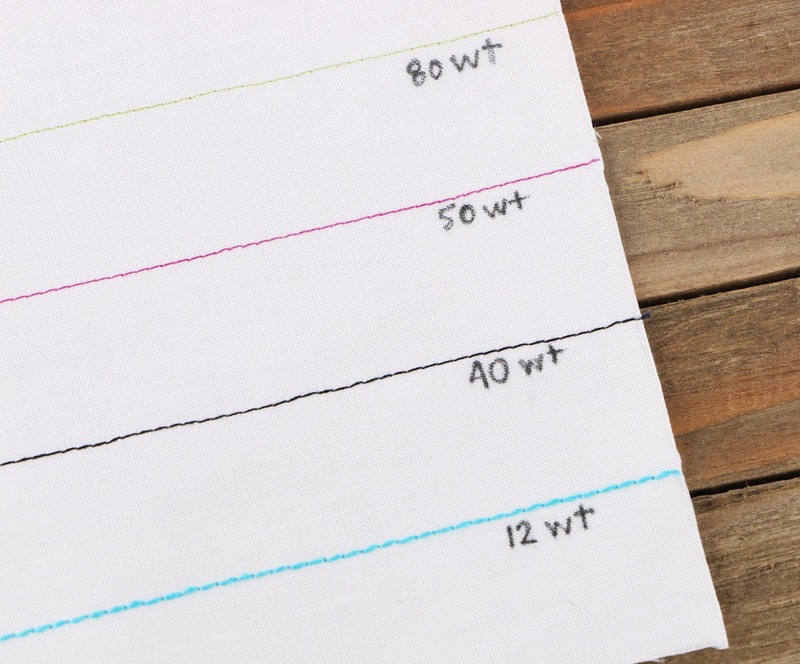 We spotted this beauty at Fall Quilt Market 2016 and we had to have it! Preorder this beautiful, The Colors of Moda Aurifil Box to be the first one with this sewing room addition!